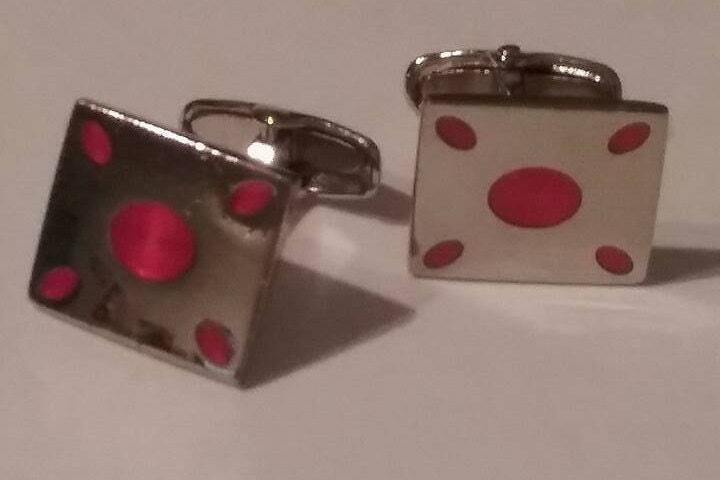 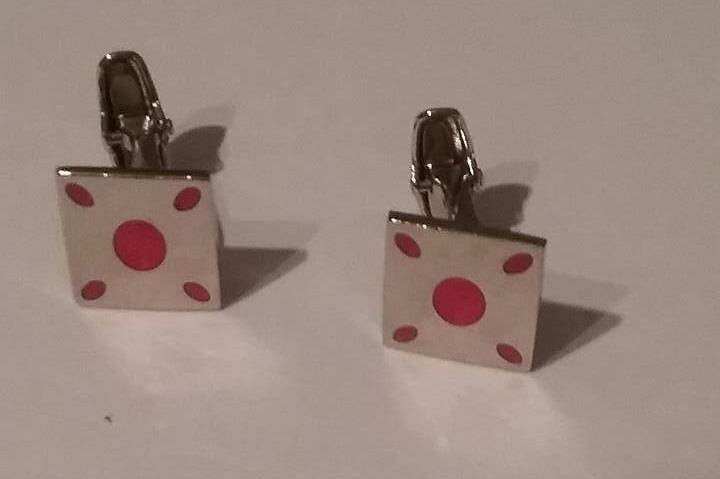 Men's silver plated cuff links with 5 unique red gloss spots (4 smaller on corners, larger one in middle.) 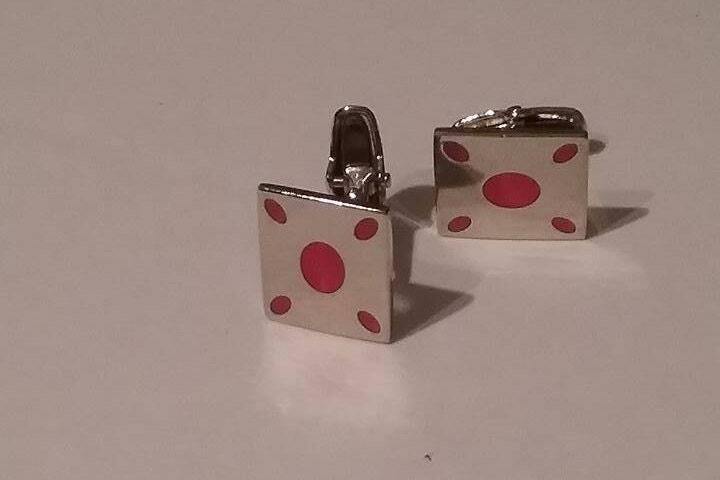 T-back silver cuff links add pop of color and sophistication. 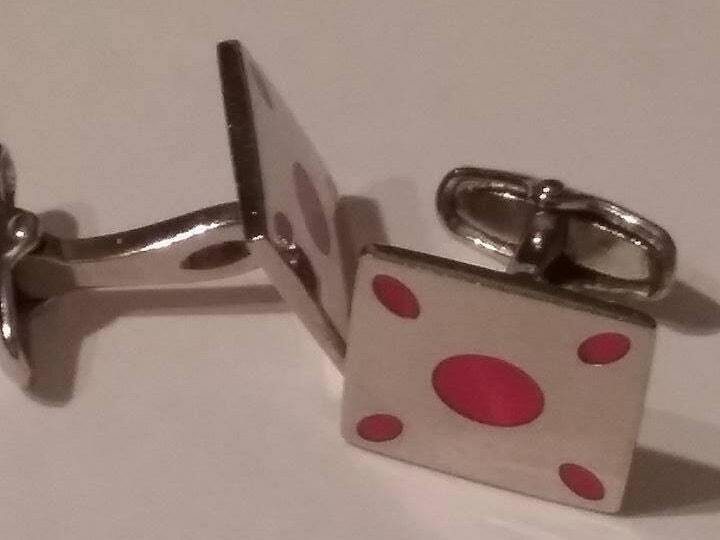 height .75 and width .63". 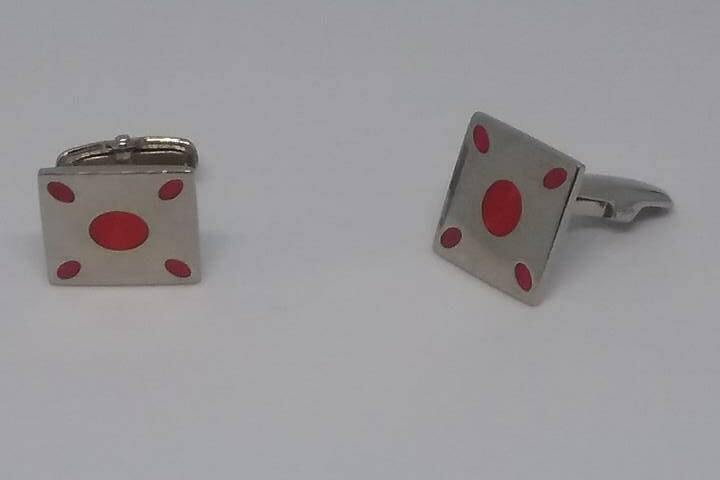 Ruby red dots and silver stand out but keep it classy.